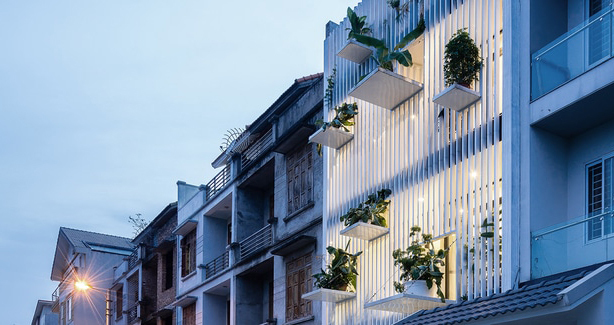 Seven screened windows on the exterior of this Hanoi residence let in cooling breezes and trees perched on suspended green balconies provide shade from the direct midday sun. 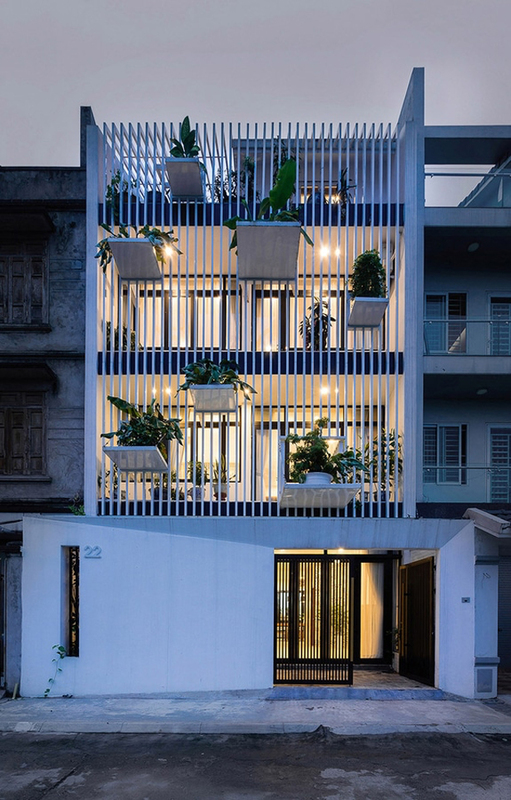 During the interior renovation of a Hanoi residence, architects from DANstudio addressed their client’s need for additional ambient light and ventilation by refitting the floor plates to include two internal tubes that deliver daylight and air into the space. All I want to know is: will a strong wind send the trees flying onto pedestrians below? Photos by Quang Dam. 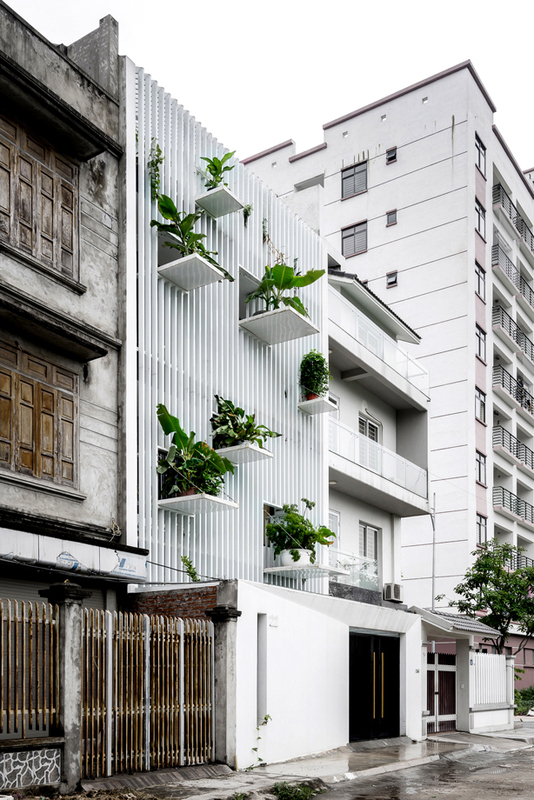 H/T ArchDaily.